[AD] How to make Artboard bounds fit object? 1) Is there a way to fit an artboard to a graphical element (like in Illustrator, with I believe doubleclick on an object)? 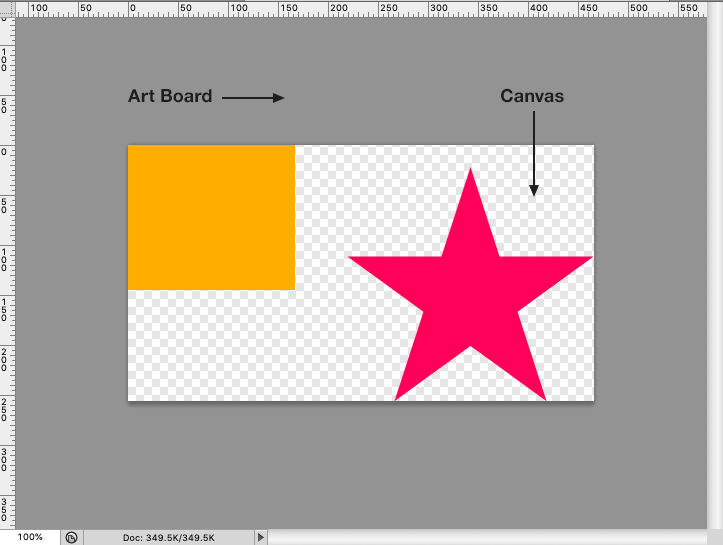 2) How can we use snapping to snap the artboard-bounds (with the arboardtool) to a graphical element? (2) If you have the appropriate snapping options set (I think, Snap to Object Geometry) then if you start drawing an artboard just to the left of the upper left corner of an object, you can get 3 sides (top, bottom, right) to snap to the object. It seems you need to adjust the 4th side (left) by hand without the benefit of snapping. However, see (1) below. (1) Have you considered selecting the object, then Layer > Convert Object to Artboard? Thanks for your quick response @walt.farrell. I have all my snapping options enabled, but still I can't get snapping to work with the bounds of the artboard. With no bound at all. I didn't know about 'Convert Object to Artboard'. That's a nice one to know. Thanks. But it's not really what I'm after. I don't want to convert the object into an artboard, I want to fit an artboard directly around it without any gaps. With your suggestion I tried adding a rectangle and convert that into an artboard (because I can snap rectangles), but then the background of the Artboard is set by the rectangle, and I need no background (it must be transparant and if I set the opacity of the rectangle to 0 is gets exported as an extra object, which I don't want). I also looked at converting the object itself (the one I want to snap to) into an artboard, but that's not what I want, it seems to lose the edit-capabilities and there is no checkerboard background. I would be very suprised if this wouldn't be possible. Snapping an artboards after finishing a design seems to be a very standard procedure to me. Are you sure snapping should work on artboards? That would be exactly what I'm after, so if I could get that to work that would be great! What I described about snapping works for me. I don't understand some of what you're trying to accomplish. You say that if you convert an object to an artboard that the artboard background is determined by the object. And you say that you need a transparent background. But if you have an artboard the same size as an object (as you say you want) how would you ever see the background? It would be completely hidden by the object, wouldn't it? Affinity Photo doesn't appear to have any snapping ability to the edges of the artboard no matter how many snapping settings you turn on for some reason. But if you add guides to the very edges of all four sides of the artboard, then objects will snap to the edges of the artboard. But this is cumbersome to do in AP because the guides don't snap to the edges of the artboard either, so you have to use the Guide Management window to nudge them to the precise edges of the artboard. Also, because the guides in AP are only visible when on the visible part of the artboard, when you let go of the guide on the edge the artboard it appears to disappear, but it's actually there. The question, as I understand it, is about starting with an object (not within an artboard) and creating a new artboard snapped to the object. Affinity Photo doesn't appear to have any snapping ability to the edges of the artboard no matter how many snapping settings you turn on for some reason. That's a different issue. What I want is to snap a new artboard around an object. I don't understand some of what you're trying to accomplish. You say that if you convert an object to an artboard that the artboard background is determined by the object. And you say that you need a transparent background. But if you have an artboard the same size as an object (as you say you want) how would you ever see the background? It would be completely hidden by the object, wouldn't it? That's right if your object has a rectangle shape and doesn't use transparencies/holes. But my object is an ellipse. If you convert that ellipse to an artboard 1) the ellipse is suddenly something I don't want; an artboard. 2) There's no rectangular artboard with a checkerboard background to show transparancies, but suddenly the ellipse is visible directly on the dark GUI of Affinity, which I don't want, because all other artboards in the file do have a checkerboard background so it would make a mess to have all different kinds of artboard in the file (one with and the other without a checkerboard for instance) and I also would like to view all objects on the same type of background (so the checkerboard). 3) I just want to use an artboard and snap it to the object. Not making artboards out of objects or whatever strange workflow to accomplish such a simple and very common workflow task. Just like Illustrator, where you even just doubleclick an object or a group to make the artboard fit tightly around it. It's a big mistake in my opinion if that feature is missing in Affinity. If we could at least snap the artboard bounds to the object that could compensate that missing feature (for now), but even that doesn't seem to be possibe. I think it's crazy we have to set values for x, y, width and height, by hand everytime we just want to snap artboard-borders to an object. I just can't believe even that's not possible. @walt.farrell I don't know how you manage to get snapping working. I tried it a lot of times here and whatever I do, none of the bounds snap to the object and all snapping options are checked. Are you confusing the art board with the canvas? No I'm not. I'm using the artboard tool. I just realized the "AD" in your subject means this is about Affinity Designer, not Photo. Sorry about the confusion. Wish they had separate support forums for each product. Activate the Artboard Tool and set its size option to "Selection" and then click its Insert Artboard button. The result is a rectangular artboard that fits the object. Edit: I forgot about the bug that results in the artboard being slightly misaligned when the object has a stroke. Yes! That's what I was looking for! Thanks! BTW I just noticed that snapping with the artboard tool works, but only snaps to other artboards, not graphical elements. No worries. Yes, I think so too that it would be better for us to have seperate forums for those products. But chances are they are in fact the same software with the same codebase underwater with only a different GUI, so maybe Serif thinks for that reason it makes more sense to just have one forum for both and it prevents all questions and problems will be mentioned double, instead of just once. The mac version is obviously a different codebase, so does have a seperate forum and different version-numbers. No problem @walt.farrell. Thanks for your effort to help! Check my reply to your other post here. Let me know how it goes. Hi @MEB, thanks for your reaction. The method you're suggesting I already tried (see above in this thread) but is not what I am after. Although it is a nice feature to know.